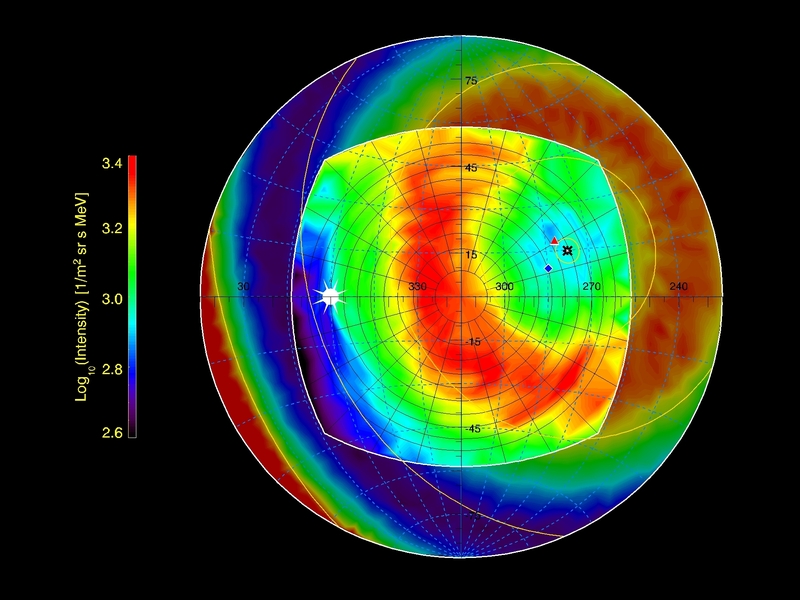 ERNE/HED measurements of a ring-like anisotropy of 16-20 MeV protons accelerated by an IP-shock on 11 August 2000. The instrument's angular resolution enables it to see far more accurate directional intensity distributions than any other particle instrument in this energy scale. To the area outside the HED viewcone (marked with a semi-circular boundary) an estimate of the distribution is drawn, based on the high resolution pitch-angle distribution measured by the instrument.